The ICRA 2019 DJI RoboMaster AI Challenge is jointly organized by the IEEE International Conference on Robotics and Automation and the DJI RoboMaster Organizing Committee. The challenge serves as an innovative platform for exceptional engineers and robot enthusiasts. The RoboMaster AI Challenge requires robots to drive and launch projectiles using artificial intelligence related technologies. Each team is required to build TWO autonomous AI robots to compete in a 5m × 8m arena filled with various obstacles. To win, a team must defeat TWO AI robots presented by the RoboMaster Organizing Committee. 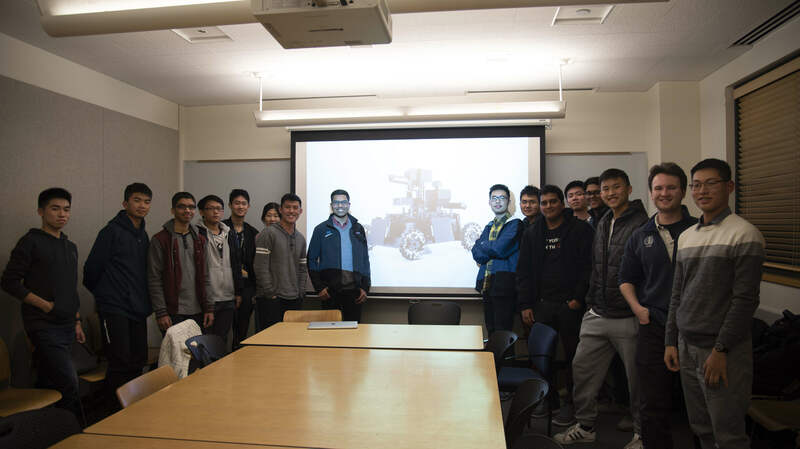 Founded in Fall 2018, RoboMaster at Berkeley is a club that provides a robotics sports community to Cal students, encouraging students to learn robotics in a novel and exhilarating way. 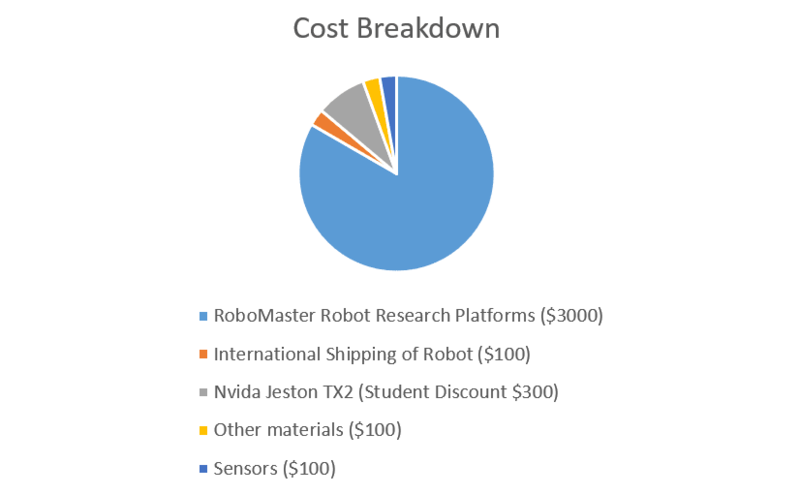 We raise fund to purchase RoboMaster robot research platforms to enrich students hands-on experience in robotics and develop advanced knowledge through practice. Students will have an opportunity to learn and test algorithms in the simulation first, and then implement those models to the robot research platform. We aim at creating a robotics sports community. Robotics can be very cool and fun to play, just like any exciting sports. We will try to let as many people as possible to get involved in our community, and bridge the gap between limited hands-on experience in the theory side of robotics and the vast interests and talents student robotics enthusiasts have. Outside of class, students can get some hand on experience building robots and feel the charm of technology through our platform. By doing this we hope to make the nerdy knowledge in computer science and math become cool things. Berkeley robotics enthusiasts will drive our robot in libraries, in classes, everywhere in campus to inspire more people. We will provide training as well as hands-on experience to those who are interested in learning more about the field of robotics and thus help them develop advanced knowledge through practice. Even students with other interests or non-tech majors can also be a part of our project, as our project welcome people from all backgrounds and offer roles related to Finance, Public Relations, Logistics and so on. Moreover, we are aiming at creating a robotics sports community here in Cal and encourage more projects like our own. We will compete with other universities in the 2019 RoboMaster AI Challenge; it will be the first time for Cal to participate in this competition. We will spend money to purchase the necessary hardware to get into the competition. Please support us to boost Cal's robotics development with a big step. Receive a thank you email and team updates. A handwritten "Thank You" note for you! We'll send you a signed photo of our team and our robot! We will send you a video of our team saying thanking you! We will print your name on our official poster and our robot!